This sign is for Bendix Radio. The sign’s colors are yellow and red. 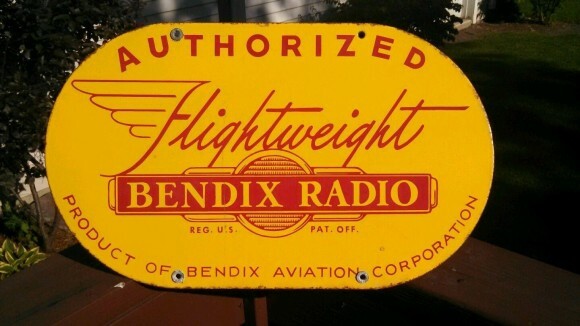 The text on the sign reads: Authorized Flightweight Bendix Radio Product of Bendix Aviation Corporation. The sign shows a radio part in the center with text surrounding.